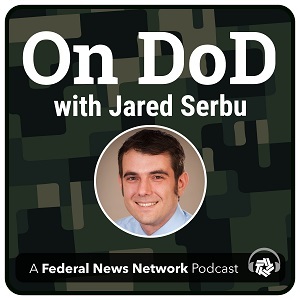 Federal News Network Defense Reporter Jared Serbu speaks one-on-one and in depth with the people responsible for managing the inner workings of the federal government's largest department, and those who know it best. Like the other military services, the Air Force has knowingly underfunded its facility maintenance accounts in recent years while its O&M budgets have been squeezed. But officials have come to the conclusion that they'll never reverse the trend of buildings steadily falling into disrepair without both more money and a new scheme to prioritize funds. 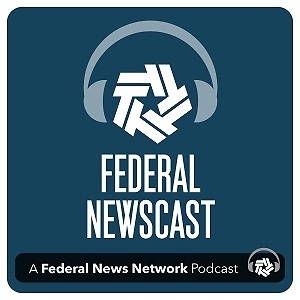 Richard Hartley, the Air Force's principal deputy assistant secretary for installations, environment and energy talks with Federal News Network's Scott Maucione about the service's newly-released Infrastructure Investment Strategy. Later, The Defense Advanced Research Projects Agency thinks social media platforms might be able to teach the R&D community a thing or two about how to quickly connect information from around the globe. DARPA's John Main talks with Jared Serbu about a new platform called Polyplexus. It's not easy for DoD contracting officers to determine whether they're getting fair and reasonable prices, particularly when they're dealing with relatively small-dollar value transactions where there is only one supplier. That's according to a new DoD IG audit, which found one supplier, Transdigm, marked up its parts by as much as 4,400 percent. 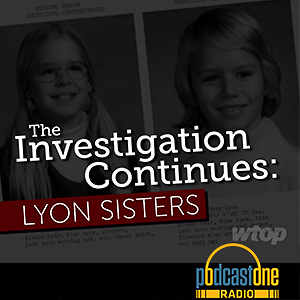 Theresa Hull, the assistant inspector general for acquisition joins us to discuss the findings and the IG's recommendations for broader reform. Later, Capt. Matthew Friedell, project officer at the Marine Corps Advanced Manufacturing Operations Cell talks with Federal News Network's Scott Maucione about the Marines' new 24/7 help center for 3D printing. We're turning this week's show over to Federal News Network's Jason Miller, who recently talked to several experts about a recently-released DIA report that listed more than three dozen research reports the agency funded as part of something called the Advanced Aerospace Threat and Identification Program. The technologies ranged from the somewhat-plausible to physics-defying. On the far end of the spectrum: manipulation of other dimensions, "warp" propulsion, and travel through wormholes. Jason talked to three S&T observers about the value of these sorts of projects: Steven Aftergood of the Federation of American Scientists, whose FOIA request uncovered the list in the first place; August Cole, a non-resident senior fellow at the Atlantic Council; and John Amble from West Point's Modern War Institute. On this week's program, two senior Navy IT officials join Jared Serbu to talk about the service's latest plans for identity and cloud computing. Capt. Ben McNeal, the program manager for Naval Enterprise Networks (PMW-205), discusses the Navy's move to derived credentials on mobile devices and the role identity will play in network security going forward. Later, Travis Methvin, the project manager for Navy Commercial Cloud Services (PMW-270), talks with Jared about his new office and its role in helping Navy organizations migrate their legacy systems to the cloud. The documentation accompanying DoD's first-ever financial audit is tough for non-auditors to decipher. But as part of its work this year, the DoD Inspector General also released an explanation of the results in layman's language; it also pointed out what the IG believes are the six most significant material weaknesses the audit uncovered.  Carmen Malone, the Deputy Assistant Inspector General for Audit and Financial Management Readiness, talks with Jared Serbu to break down those six areas of concern. Later in the program, Alba Aleman, the CEO of Citizant joins us to talk about how her firm survived the latest government shutdown, and what companies can do to prepare for the next one. Pentagon's top management challenges; Navy's latest plan for "maritime superiority"
Brett Mansfield, senior advisor to the Principal Deputy DoD Inspector General talks with Jared Serbu about DoD's top ten management challenges for 2019. Also, Adm. John Richardson, the Chief of Naval Operations, talks with Scott Maucione about the newest iteration of the Navy's Design for Maintaining Maritime Superiority. The Navy released a "2.0" version of the document in December. The Defense Department has survived the first protest of its JEDI Cloud contract. But there's at least one more - and mostly likely several more - still to come. 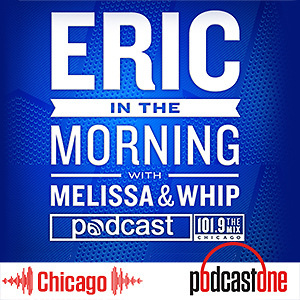 Lauren Brier, an associate attorney with The Federal Practice Group joins us to talk about the legal issues involved in the protest Oracle filed, and why losing bidders might have more luck challenging the procurement after an award is made. Later, Jim Langevin (D-R.I.), the presumptive incoming chairman of the House Armed Services subcommittee on emerging threats and capabilities joins us to discuss his oversight and legislative priorities for the new Congress. It has been a little over a year since the Army began making some fairly monumental changes to its IT networks, including by cancelling the $6 billion dollar Warfighter Information Network Tactical (WIN-T). Two of the senior Army leaders who've been working on what's next join us to talk about what's happened in the months since the Army determined that the network it has is not the network it needs. Later, we discuss organizational and training changes in Army cyber and electronic warfare with Maj. Gen. John. Morrison, the commanding general of the Army Cyber Center of Excellence at Fort Gordon, Ga.
Also, a brief discussion with Marten Mickos, the CEO of HackerOne, on DoD's latest round of contract awards to expand its "Hack the Pentagon" initiative. If you've never heard of a Defense Department organization called Joint Task Force Civil Support, that's understandable. And arguably, it's a good thing. JTF-CS may be the smallest task force in the military's force structure: its headquarters at Fort Eustis, Virginia, has less than 200 people working there, and it's main mission is to organize the military's response to a chemical, biological, radiological or nuclear attack in the United States. Our guest this week is Maj. Gen. Bill Hall, who became the commander of JTF-CS earlier this year. He says he's wanted to command the task force ever since he learned of its existence a decade or so ago. He talked with Jared Serbu about why that's the case. The general topic of human capital management has been on the Government Accountability Office's list of federal "high risk" areas since 2001. But the Defense Department has come to the conclusion that deficiencies in its own HR workforce is one significant factor. The HR profession, itself, is at high risk, officials say. 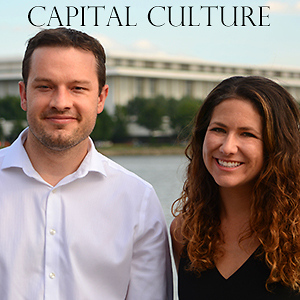 On this week's show, Veronica Hinton, DoD's deputy chief human capital officer talks with Jared Serbu about a new effort to reinvigorate the HR workforce with new training, more strategic management, and perhaps, eventually, a simplified regulatory structure. The Army wants to use artificial intelligence and machine learning to help its electronic warfare officers sort out signal from noise on the battlefield. And to pick the best solutions, it's using an innovative approach. Instead of a traditional procurement, it gave industry and academia a set of challenges, using real-world data from Army sensors. 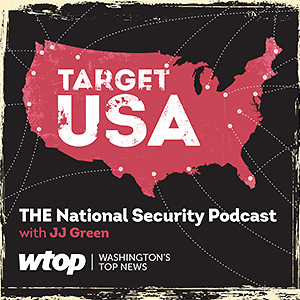 Rob Monto, the Emerging Technologies Director for the Army Rapid Capabilities Office, joins Jared Serbu to talk about the results.